$79.95 For Cricut Cake Personal Electronic Cutter | A Savings WOW! With four kids at home, it seems that we are constantly celebrating birthdays or other occasions that involve a cake. We were at Jo-Ann’s the other week and saw a demonstration of this really cool Cricut machine for cakes. It’s amazing how quickly you can make decorations that turn even the most plain cake into a unique and dazzling one! Our kids even saw how easy it was to place the decorations on the cakes! 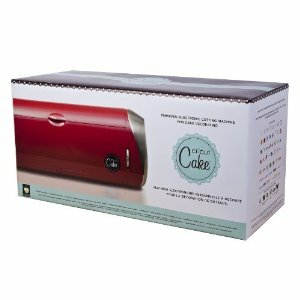 Right now, you can get this Cricut Cake Personal Electronic Cutter in red for only $79.95 (they are normally $399.99) on Amazon.com. Even if you don’t bake, this would make a great gift for the baker you know! As with any product on Amazon.com, the price can change at any time, so if you like this deal, you should get it right now! Get your Cricut Cake Personal Electronic Cutter for only $79.95 today!